Coach Vern Friedli presents a base offense and defense that can be easily taught and executed. The formations and plays are demonstrated both on the field and detailed on the chalkboard. The first segment covers the basics of the Solo Offense. Numerous plays are presented that can be adapted to any defense or situation. The next segment covers the Base 52 Defense. Coach Friedli explains the position fundamentals, various moves and stunts and how to disguise the defense. 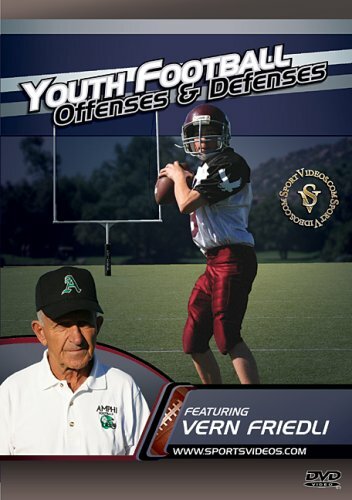 This comprehensive program offers a wealth of winning strategies that will help coaches to build a championship-caliber football team.